14 identified Bacillus, Mainly Nitrogen fixers convert Ammonium Nitrite and Nitrates to plants available form, protection from plant pathogens through competitive exclusion. Increases efficiency of mineral fertilizers. Produces a large variation of enzymes and recycles organic matters in soil. Reduce Nitrate and supports plant growth. Form biofilms in the root zone. Increases soil microbial activity as food source for bacteria. 72 Macro and Micro Nutrients. 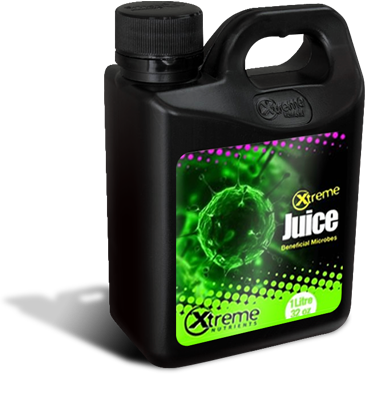 Use Extreme Juice during the grow & bloom cycle at a rate of 10 to 20 ml/Gal.